Each month we set the facts straight regarding a popular health and wellness myth. This month’s myth: Hospice is a location. Hospice is often thought of as a place where people who are nearing the end of their lives go to receive specialized care. But hospice is not a physical location; it is a philosophy of care. It’s a patient-centered, family-oriented approach of caring for those in the advanced stages of a life-limiting illness. By combining careful pain and symptom management with spiritual and emotional support, hospice enables patients to live out the remainder of their days in comfort and dignity, surrounded by those they love. Hospice care neither hastens death nor prolongs life, but allows the illness to take its natural course. For families, hospice provides extensive bereavement support, both before and after the loss of a loved one. So while hospice provides special care at the end of life, it is not a physical location. In fact, most of the hospice care received in our community takes place in the patient’s choice of residence, whether it’s a private home, nursing home or assisted living facility. For those needing specialized care that cannot be provided in a patient’s home, Dove House, Carroll Hospice’s inpatient facility, is available for short-term care. To learn more about Carroll Hospice’s services, call 410-871-8000 or visit our website. See the impact Carroll Hospice has on patients and families in this WBAL Medical Moment. 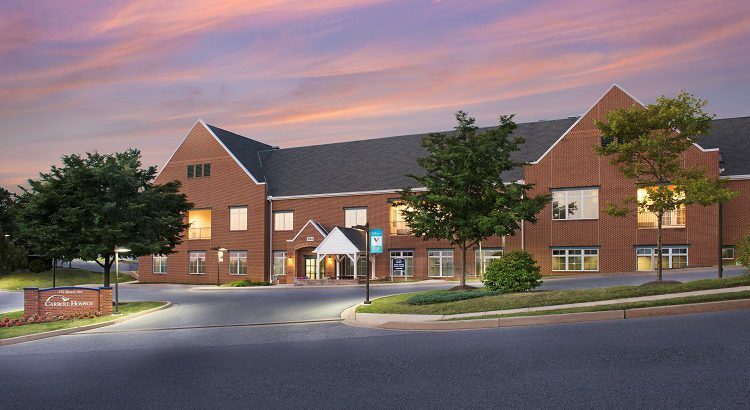 Pictured above: Dove House, Carroll Hospice’s inpatient facility, offers short-term symptom management that cannot be provided in a patient’s current residence. It is also the location of many of Carroll Hospice’s bereavement support groups and services.